Scenic mountains of Western Tien Shan have long attracted tourists from different countries. Almaty to Issyk-Kul, passing along the slopes of Trans-Ili Alatau Kungei Ala-Too, in the Soviet era, was one of the most popular among mountaineers. But for two decades have passed since the collapse of the Soviet Union, and, therefore, after the parade of sovereignties between the neighboring countries have been established abroad, passing places on the slopes of mountain ranges. In order to prevent the penetration of spies in sovereign states, soldier in green caps once great state, began to demarcate the borders, his combat boots steel outline border, set poles, string barbed wire, introduce new rules and strongly fenced from each other. That’s just from all this masquerade hurt innocent climbers, mountain tourists and citizens on both sides of the border. The law “On the state border,” the introduction of the stay of foreign nationals in the border area, the complex procedures for obtaining permits, the 15-day period of consideration of the application as filed, greatly hampered by the once popular hiking mountain trails of the Great Silk Road. In 2004 the company “Dostuk-trekking” in cooperation with the Association of Tourism of Kyrgyzstan and involved lawyer attempted to amend the Law “On the State Border” in order to simplify the procedure of stay of foreign citizens in the 50-kilometer border zone. Lawyers and tour operators have been worked all too outdated police Guidelines and Regulations governing the stay of foreigners in the border areas, to make excursions on mountain routes. An inventory of all the regulations in this area, and to the Government raised the issue of liberalization of the legislation. 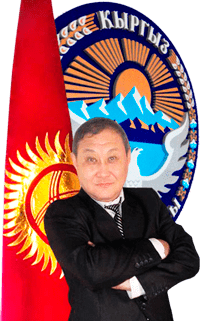 Bodies of National Security, Ministry of Internal Affairs and the Border Service of Kyrgyzstan in order to attract foreign tourists, and transfer from state coffers this sort were not against innovations in the national legislation, but national security issues were still paramount. This issue has been partially resolved then that the security forces made some concessions and concessions, but the problem remains to this day. Some fans of mountain tourism in the CIS, in particular Ukraine, the site of the Russian Club asking questions on the procedure for obtaining permits for mountain trekking in southern Kazakh capital to the coast of Issyk-Kul. Seemingly innocuous journey with good intentions. What can be advised climbers? It is better not to risk any health or time. Russian tour operators are unable to settle with the security forces in their own country, not to mention the neighboring state. It has long passed into oblivion line that popular Soviet song “Tourist on pu …, .. to pu … in the belly crawl and nothing will happen to him.” An no, misunderstandings happen now in the border areas “fraternal” republics. Take, for example, the recent case of Uzbek border guards detained a group of tourists from South Kazakhstan region at the foot of the peak, Sairam, got lost on the mountain trails. Even nine teenagers Argus listed as border almost to the saboteurs shall remain scared to death YANGIYOL kids in special detention centers for minors. And it was only after raising hype Kazakhstani media, two weeks after the authorities of neighboring States deigned to admit to the detention of climbers from Shymkent, allegedly willfully violated the border and, in addition, “armed to the teeth with modern firearms.” That such is sometimes the “friendship” between the Turkic states of Central Asia!